Anyone out there know much about Sauvignon Blanc? It’s a grape that goes well in both the fruity, fresh, drink-it-young style, or in the barrel fermented full style, like you get in Bordeaux. Verdejo is kind of similar to Sauvignon Blanc in that sense. I don’t say that to annoy Verdejo producers, I say it more to Sauvignon Blanc drinkers who might want to try this instead! I wrote a bit yesterday about using winemaking techniques to avoid any oxidisation, things like picking late at night, or using sealed fermenting tanks. It’s this that means you get hold of fresh and fruity, dry wines if that’s what you’re after. In terms of the fruit, it’s not tropically hot, but you will be looking at stone fruit round there. 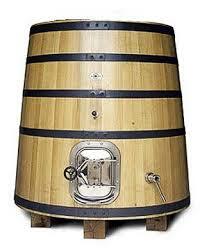 Verdejo also lends itself pretty well to barrel fermentation. That just means it’s doing it’s fermenting in an oak barrel rather than in a stainless steel tank. That’ll allow a touch of oxidisation (which given it does that easily can be played around with), and so gives fuller bodied, richer tastes. I’m hoping with the two I try I get one of each. Better read those labels closely, eh? #NWTW Week 41: Verdejo, A Labour of Love! I like sauvignon blanc with poultry or white meat. I will have to watch for Verdejo. Will do you a food suggestion tomorrow, but go with what you know, and try the Verdejo! ← #NWTW Week 41: Verdejo, A Labour of Love!